With winter approaching, you would want to make sure you get the best shoes possible. That means they have to keep your feet warm and dry in harsh conditions. They should be comfortable no matter how long you wear them. If you choose some of the winter boots from our list, you’ll have all of that, and they’ll last for many years to come. They are stylish, casual and will keep your feet dry. 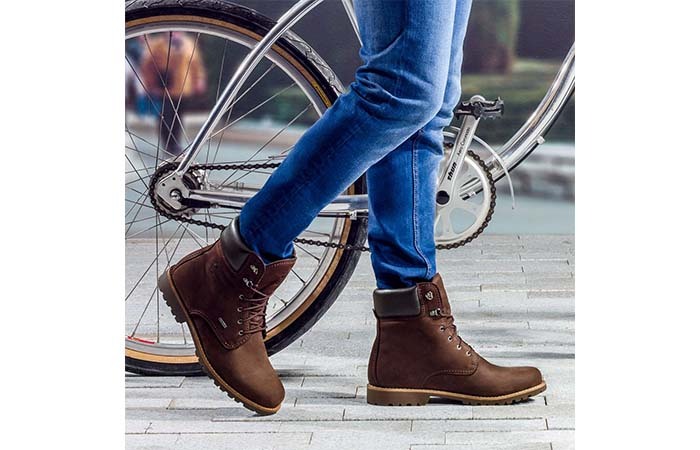 These brown kangaroo leather boots are really stylish and casual, a perfect look for the winter. They have the most important features boots should have. First of all, they will keep your feet dry. It’s not all about the looks, making your feet warm when it’s freezing outside, is something we’re all looking for. They are also very comfortable and lightweight, so you can walk for hours and still feel relaxed. These boots have the perfect combination of weight and stability. The rubber outsole is designed to be slip-resistant. These boots are made to last. The outsole is made from rubber and it’s designed to be slip-resistant. They have cotton drill vamp lining so your feet can breathe when wearing them. You can remove the insole, and it has great cushioning features, so it reacts well on rough surfaces. They are very comfortable and give great support, so you can walk many hours and still feel good when wearing them. The tobacco gladiator oil-tanned leather makes them look great. You can show off your style and still get a high-quality shoe. These tough tall boots are really soft on the inside. These tall boots are made of dark brown leather. They’re really tough and durable, the right choice for winter. The Uplander is also flexible, so you can move and bend them in any way and they’ll still be cosy. The leather is water repellent and really soft on the inside. That means they’ll keep your feet dry and warm during winter. The insole is removable and made to absorb any shock, so your muscles won’t get sore. Also, it’s very easy to clean them, just wipe them with a damp cloth. 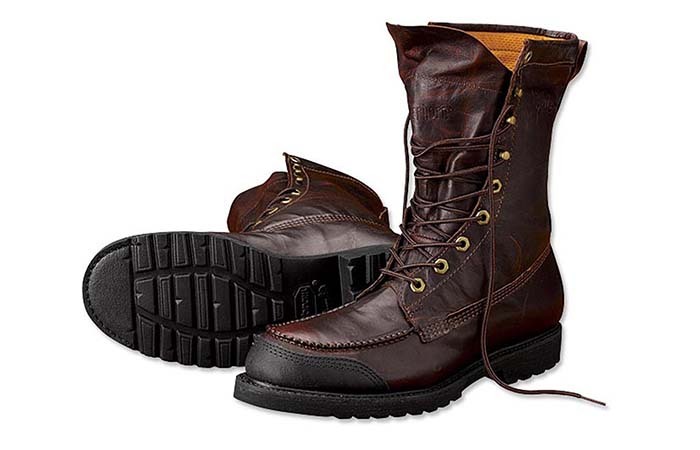 These natural leather boots are stylish and completely waterproof. This famous Spanish brand makes well recognised natural leather boots. The Panama 03’s will give you comfort, and you’ll have them for many years to come. The boots are waterproof and completely handmade. With this classic style, you can’t go wrong. The leather insole is removable, and the outsole is made from a rubberized material. The great thing about these boots is that you get the entire maintenance kit with them. It contains a jar of grease, a sponge and extra laces. They are stylish and can go well with different outfits. And most important, they’ll keep your feet warm and dry. You can order these boots in a wider fit. One of the best things about this pair of boots is that they can be ordered in a wider fit as well, for those with bigger feet. They are constructed to be firm yet comfortable. This is great for hiking and long walks. They’re also comfortable for everyday wear and will keep you warm in the coldest climates. 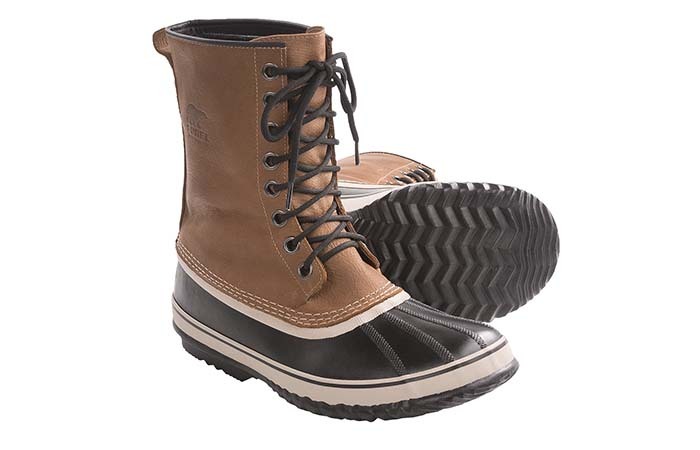 You’ll want to keep your feet dry, and that’s why these boots are a great choice. They’re weather resistant and really easy to put on. You can remove the liner, and the good thing is that it will stay in place when you’re using them. You can use these boots in any weather condition, they’ll keep your feet dry and warm. 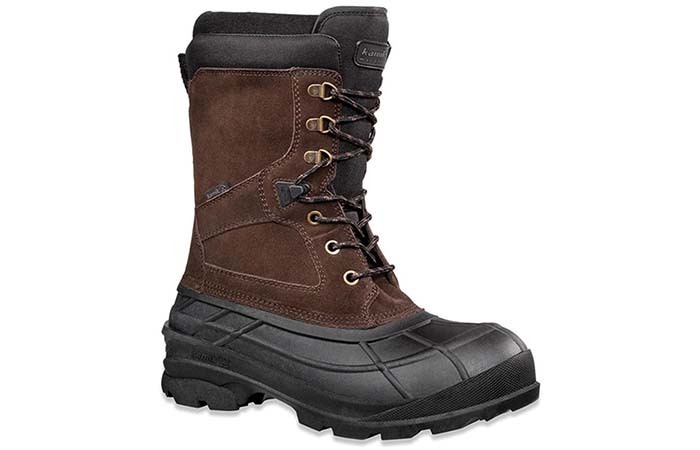 These awesome looking full-grain leather boots from Helly Hansen will make your feet warm and dry. They come in really cool colors, so you can choose the combination you like the best. 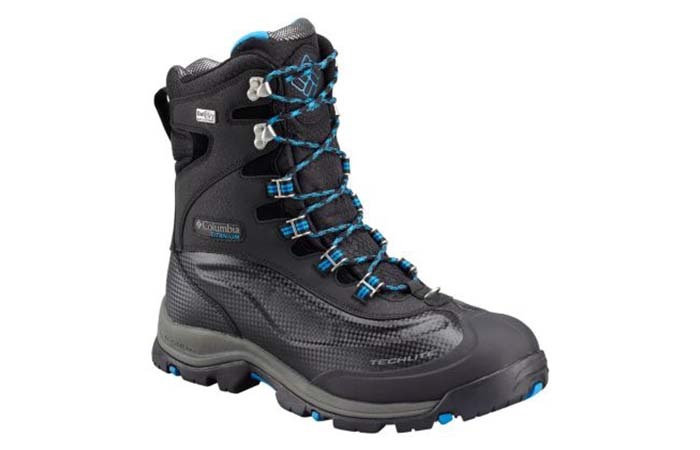 These boots are waterproof, so you can use them in all cold weather conditions. The outsole is made of rubber, the kind that won’t let you slip. They will support your feet and provide warmth. You can use them in the city or in mountains filled with snow, and you’ll always look stylish in them. 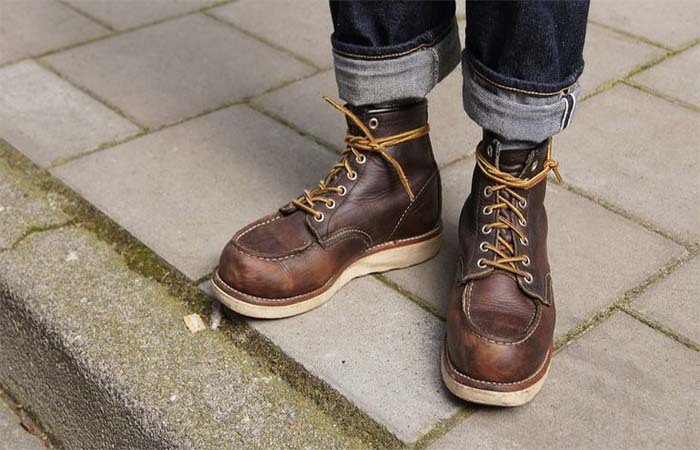 The Classic oil-tanned leather boots will fit great and be comfortable. 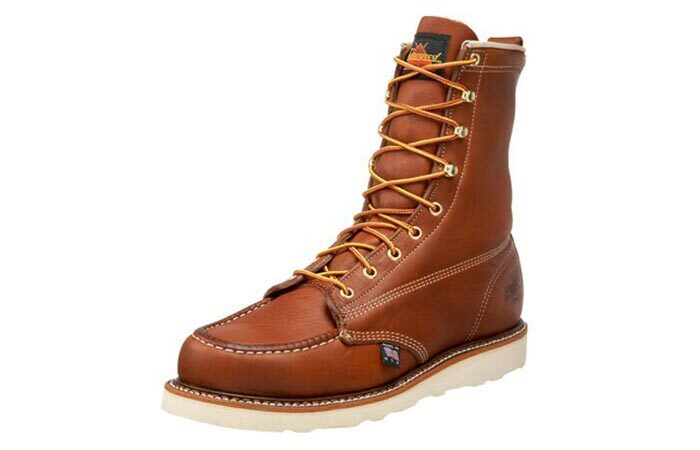 Red Wing Classic Boots were first made to provide comfort for workers, but soon became an iconic boot style. They have a recognisable material- oil-tanned leather. This kind of leather gives them a natural look and make them durable. What’s also great with this material is that it’s water, stain and perspiration resistant. They’ll fit great on your feet and they’ll still have room to breathe. It’s easy to clean, condition and protect them, and if you take good care, they’ll last many years. These classic Dr.Martens boots are made to last many years. Dr. Martens Shoes define style. They are recognizable for being classic and always looking good. These boots are also a symbol for many generations and known for lasting long. The Nashville model has the signature yellow stitching, padded tongue and ankle collar. You can easily put them on, and they’ll keep your feet dry and warm. The sole is made to be weather and slip-resistant. They will give your feet the necessary support, and stay comfortable doing it. You can never go wrong with Dr. Martens shoes, especially with this classic model. The idea behind these shoes is to last a lifetime. We can’t do this list and not mention Timberland. They have over a hundred models of boots. 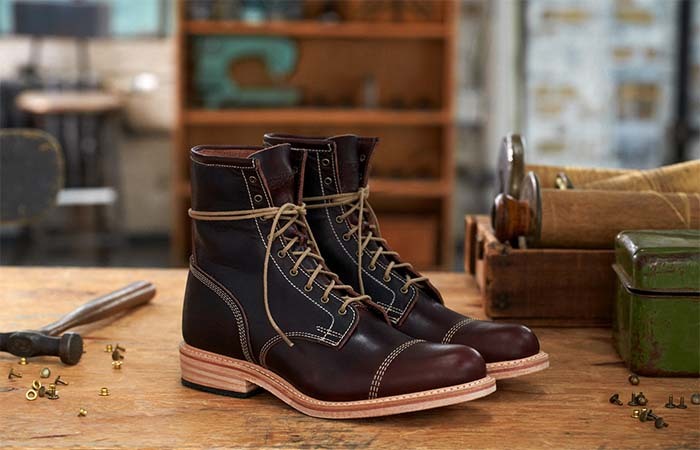 Coulter 9-Eye model was inspired by the boots made in the early 1900s, with the idea to last a lifetime. 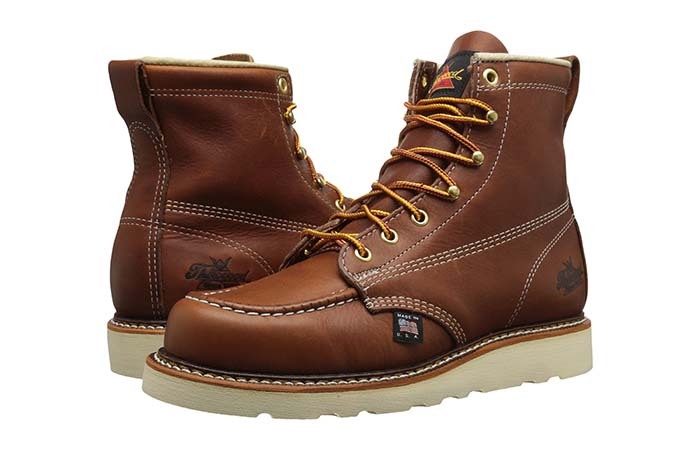 They are made of full-grain Horween leather, known for looking even better as time passes. The stitching is really remarkable and detailed. These shoes will give you the ultimate comfort, and a timeless retro look. Along with style, you’ll get a durable and stable shoe, made for any kind of weather. They’ll give you good support and keep your feet dry. One more model from the famous Spanish manufacturer we simply must mention. 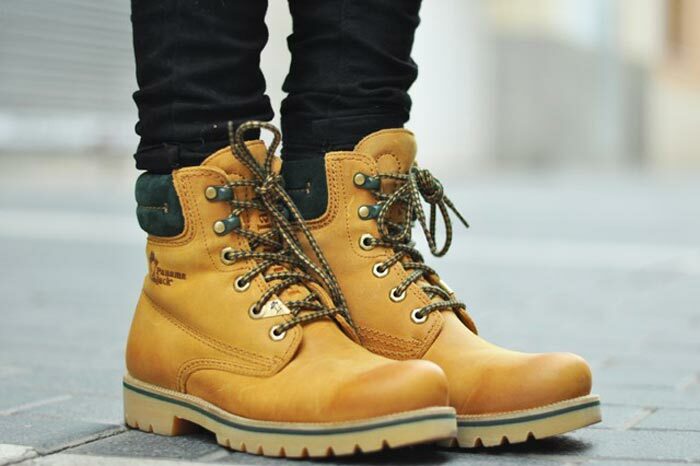 These wonderful boots are a great choice for winter. They are breathable and comfortable, you’ll feel like walking on clouds. They will keep your feet dry because the material is completely waterproof. The sole is made of rubber, so they won’t slip. You can remove the insole. 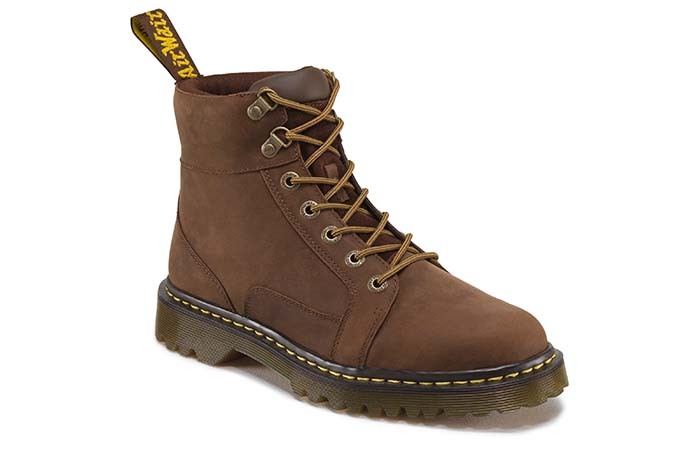 These boots are really easy to clean and will give you good support. The walnut oil leather is water resistant. These boots were made for the 120th Anniversary of Thorogood. They are made to be long lasting and easy to wash. The thick rubber sole will ensure your feet stay warm, dry and provide increased traction. The walnut oil leather is weather resistant and reliable, so you’re safe for many years. They look really casual and you can wear them in many occasions. With these boots, you’ll get great protection and all the comfort needed for cold days that are ahead of us. You can wear the collar up or down, whatever style you prefer. 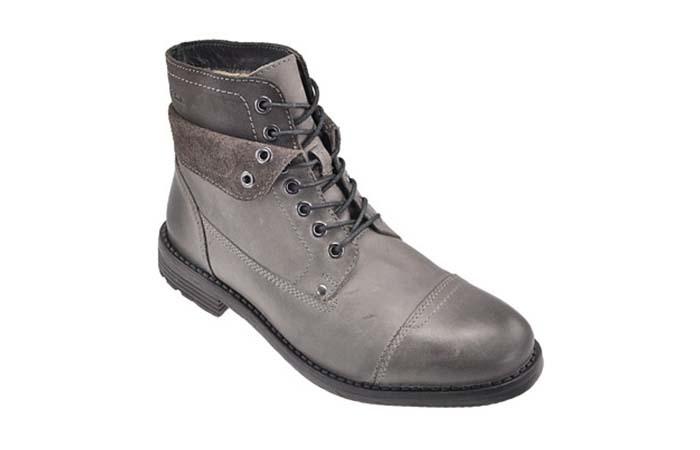 These military inspired boots are made to have a perfect balance between comfort and style. You can wear the collar up or down, whichever way you like. Cushion technology makes sure you stay comfortable, and the material will keep your feet dry. These ankle boots have a 100% wool lining and they’ll keep you warm in temperatures up to -20°C. You can get them in black and grey. This Amazon best-seller gives the ultimate comfort. These boots are Amazon’s best seller and have all the reasons for it. First of all, they will give you the ultimate comfort. Thet are incredibly warm and completely waterproof. You can remove the inner boot and wash it. Handcrafted rubber outsole is perfect for surfaces covered with snow. This way, you can use them for all winter activities. This model combines leather uppers and rubber bottoms to make this pleasing design. 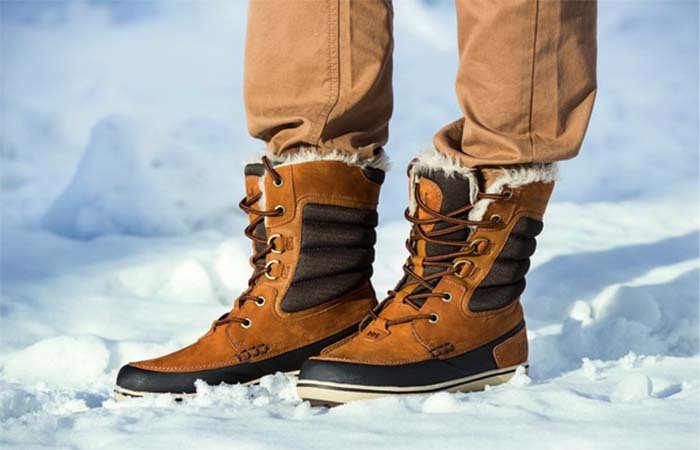 All in all, they’re stable, comfortable and made for all kinds of winter conditions. They are made of highest quality leather. 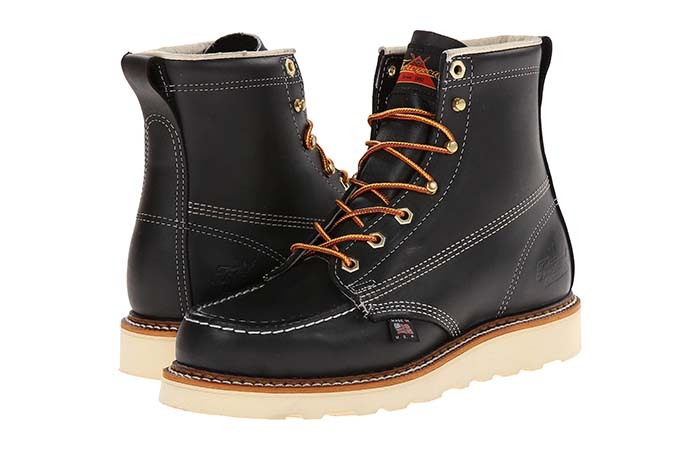 This boot is made by the famous American manufacturer, proud of its heritage. It’s designed specifically to ensure the highest quality leather, and to last for many years. 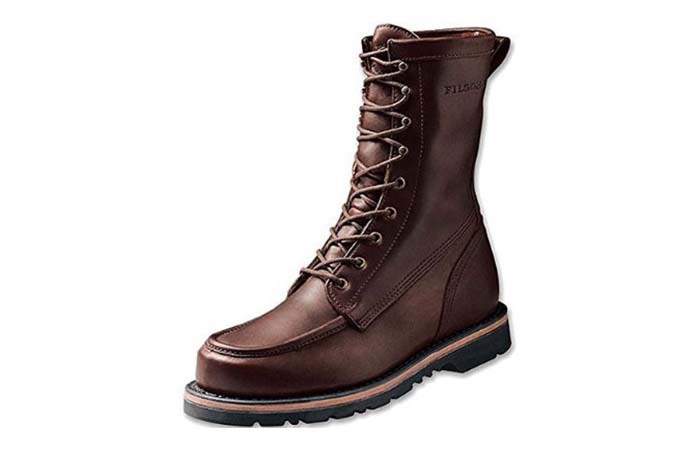 Thorogood made sure this boot fits well, but you still have enough comfort for your feet can breathe. It won’t let you down in wet conditions because it’s completely waterproof. Just wipe the boots occasionally, and you can use them for years to come. You can get them in few color combinations. These shoes are all about good insulation. And last but not least, you shouldn’t miss these fantastic insulation boots. They will make your feet super warm, even for temperatures up to -65F/-54C. They are completely waterproof, so you can go hiking even if everything is wet. They are made from the combination of leather, nylon, webbing and metal hardware. The midsole is designed to give superior cushioning and comfort. So, your feet will be warm, dry, and you’ll have all the comfort you can imagine.